Established in 1954, Richard Moss started a passion to preserve and protect both historic cars and the skills necessary to restore them, a passion continued by Graham Moss today. 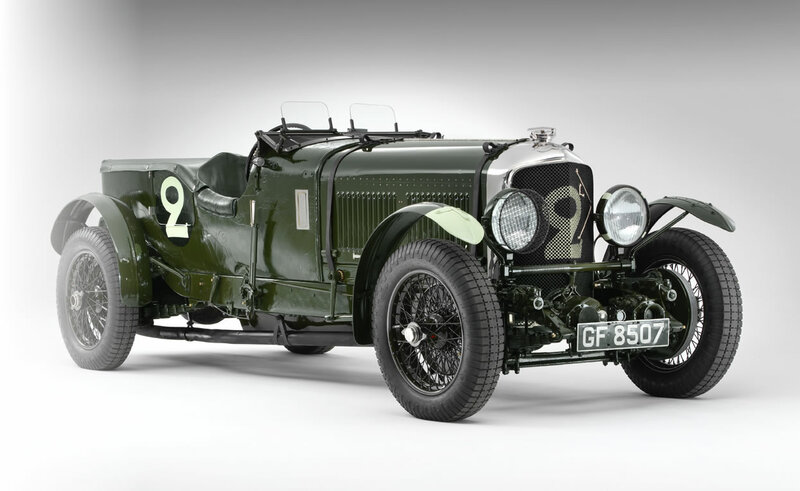 Our drive for originality has led to a world reputation for authentic restoration of historic vehicles, in particular the vintage Bentley. R.C.Moss have an unrivalled level of capability inviting the most exciting projects, why not browse through our departments and glimpse into a world rarely seen today. Our workshop has been developed with a full understanding of our needs and requirements to most efficiently allow restoration at the highest of levels. 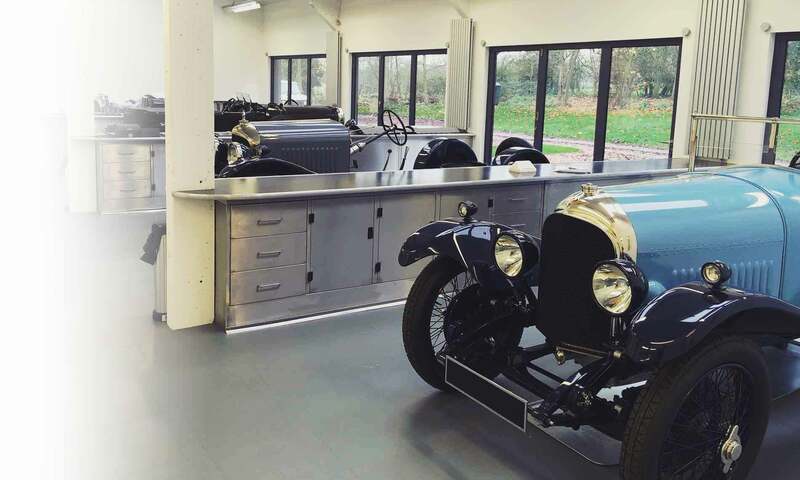 This state of the art facility separates all aspects of the restoration process into workshops, fully equipped with both modern and tradition machinery. Built on two levels with our coach department on the first floor; our ground floor is split between restoration bays, dedicated workshops and parts storage. Every aspect of restoration is undertaken in house allowing precise control of schedules. Over sixty years of experience have culminated in a knowledge base allowing the most challenging projects to be undertaken. R.C.Moss has certainly been challenged over the years with numerous commissions and projects, but always undertaken using traditional techniques and skills. At our core we are hand skilled engineers and craftsmen, the two merging to create genuine authenticity to our projects. The most artisan department in our organisation is based solely on the recreation of upholstery as undertaken by the trimmers from the various coach builders of the day. Due to our age R.C.Moss have been able to photograph, document and archive a comprehensive library of original upholstery styles and techniques allowing our unrivalled level of authenticity. Every project is based upon research and factual evidence of the techniques, materials and products used by these coach builders. 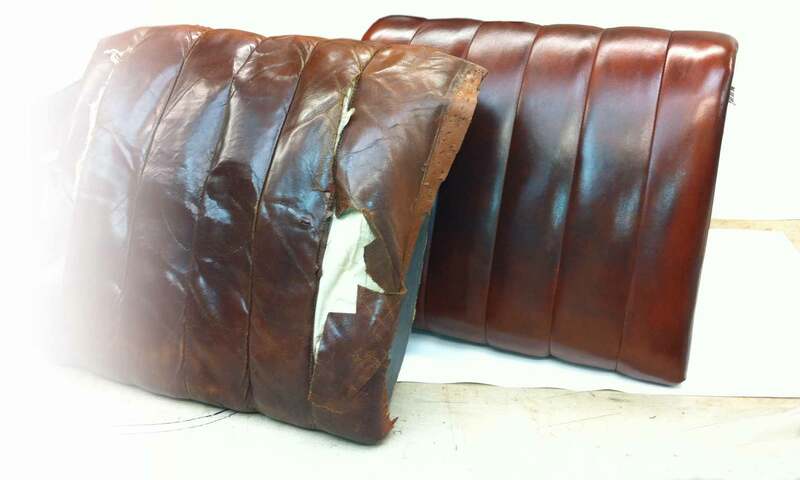 Authentic materials are re-produced to allow a genuine look and feel to our work. One of the most exciting developments at R.C.Moss has been the manufacturing of genuine vintage body fabric as originally supplied by ICI - Rexine, Dupont - Fabrikoid and Weymann. A project eight years in the making that exemplifies our in house ability. 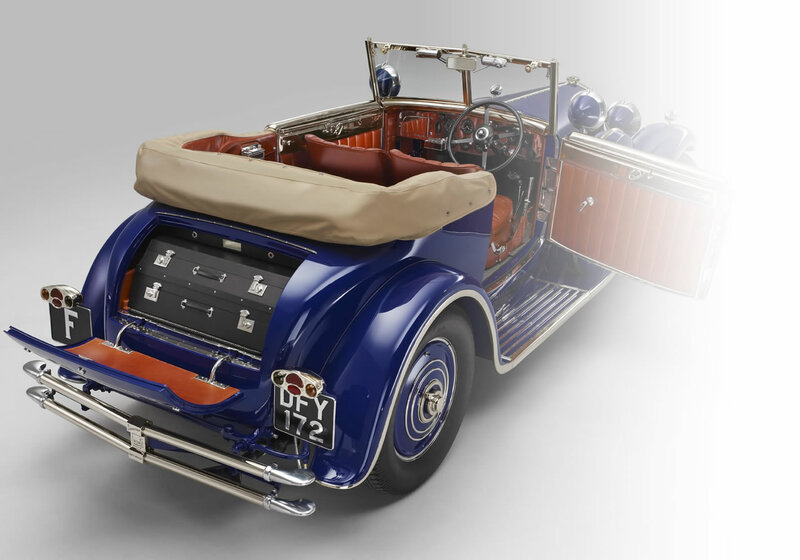 Not since the 1940’s has genuine Nitro cellulose cloth been available to cover coachwork, a great example of our dedication to authenticity. Since being unveiled at Pebble Beach in 2015 we have been covering the most incredible cars recreating the original appearance, it has also been used heavily in our conservation studio. Our sister company “The Vintage Fabric Company” can produce any colour and embossed pattern to suit your project. For the full story read the article in explore. One of our greatest attributes, closely aligned with our core skills as craftsmen, is our ability to undertake detailed conservation work across all departments to preserve history, aesthetics and patina. Our conservation department is under increasing demand as we work closely with collectors, museums and individual owners to protect a historic vehicles aura. 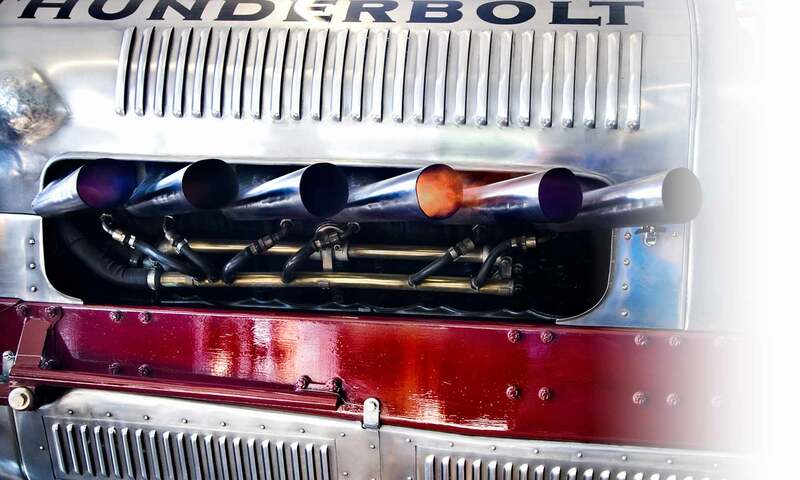 Great effort is made to enhance the character and ability of every engine we restore. Approached with expert knowledge and time served experience. All aspects are carried out in house as are many of the large array of reproduced components. 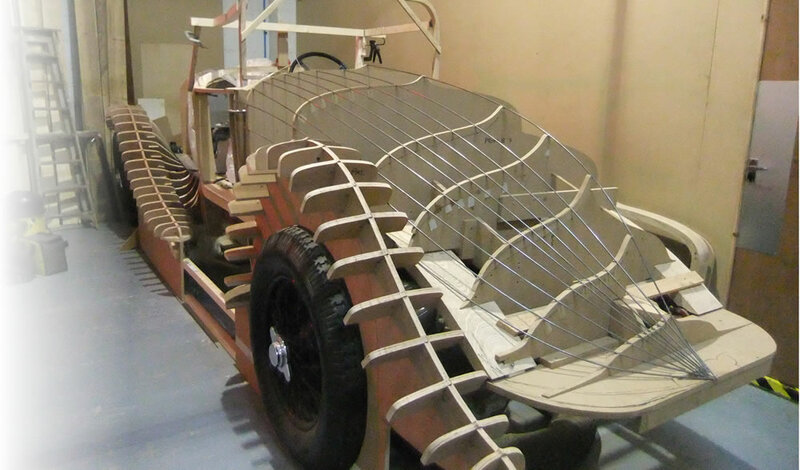 Our coachwork department is based upon 61 years of restoring, conserving and reconstructing rare missing bodies. 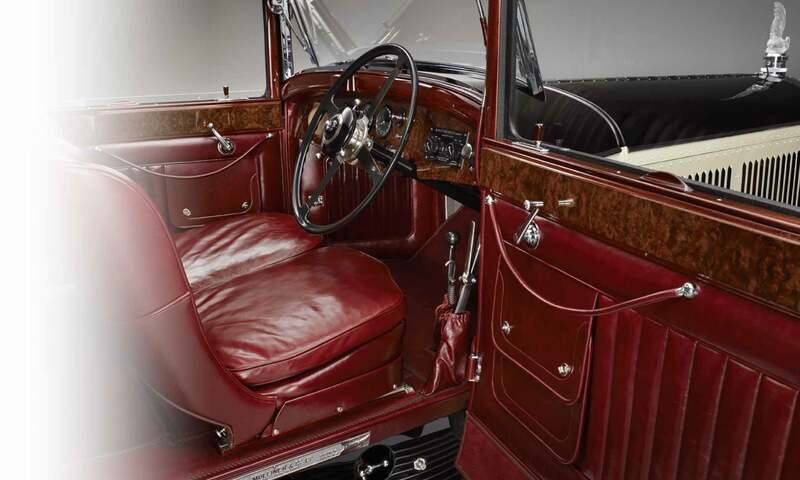 Experience is everything in this world, understanding the techniques and details required to produce an exceptional working body is crucial, as is interaction with the upholstery department, windscreen and hardware departments to ensure no issues arise further on. R.C.Moss also has a large supply of original fixtures and fittings, patterns and castings to produce a large army of components for most coach built cars. We are also experienced in the art of steam bending ash and manufacture our own hood sticks to required widths and radius. 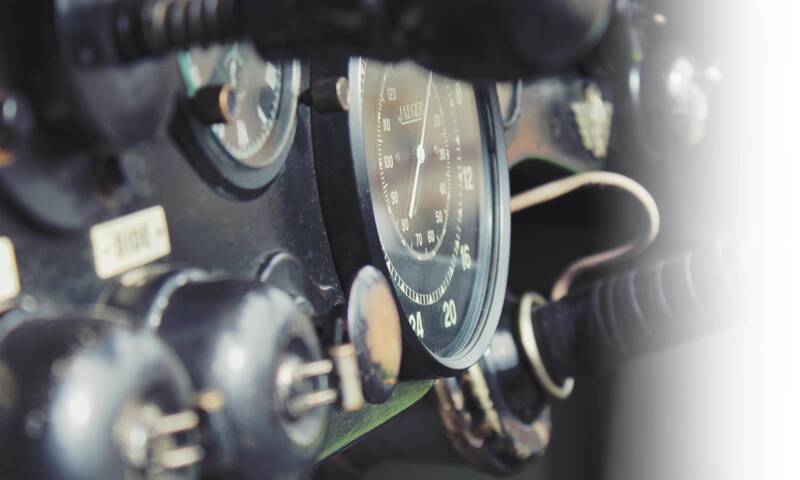 We are fully equipped to restore both chronometric and magnetic instruments, we undertake all our restoration needs in-house. 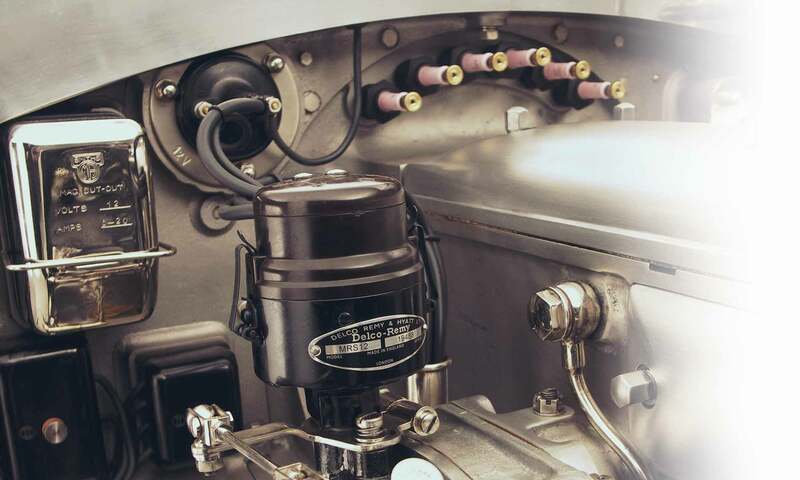 R.C.Moss produce common parts and dials for most instruments, especially Jaeger, Smiths and A.T instruments. Calibration and re-magnetising of A.T instruments can be undertaken, as can the calibration of Hobson fuel gauge, we produce most components associated with these. Prewar magnetos have a stronger need for qualified engineers rather than electricians. Restoration of moving parts and precision machined components have lead to reliability and robustness. Priding ourselves on an exceptional level of competence in this department backed up with parts manufacturing and repair experience to meet most magnetos needs. 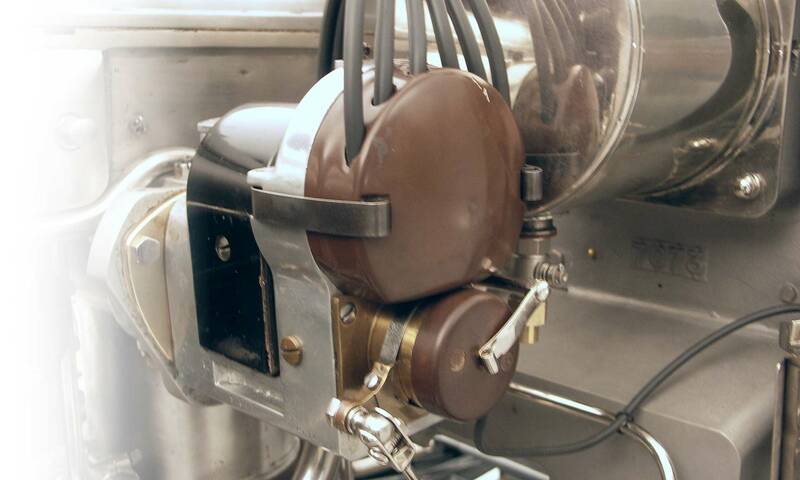 All magnetos are thoroughly bench tested, undergoing rigorous test procedures before being signed off. R.C.Moss have undertaken the manufacturing of many ancillary components throughout our history. Commissions to reconstruct parts such as shock absorbers, fuel pumps, instruments, crankshafts, pistons etc. have been undertaken. We have also built up a large array of obsolete parts such as moulded components, switches, dust caps and other small components. We also manufacture windscreens, hood frames and other coachwork parts. 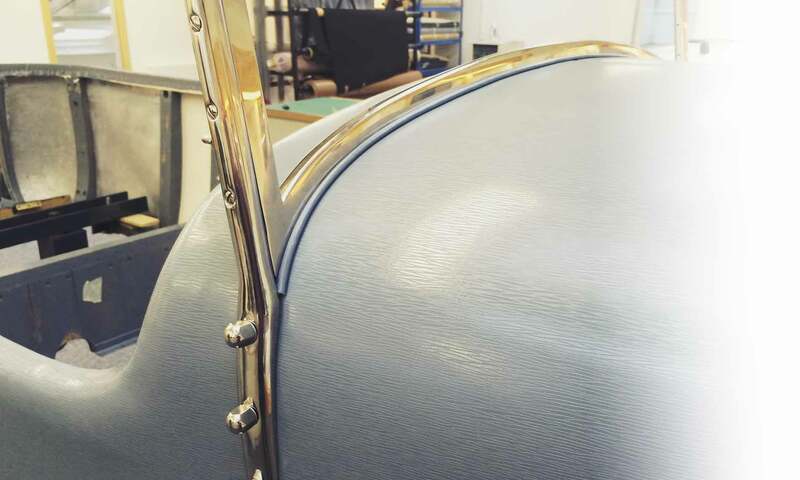 For the upholstery department we manufacture authentic sprung seat cushions made to specific heights, spring rates and shapes for individuals requirements. R.C.Moss have had unrivalled success at many events around the world, especially Pebble Beach where we have had several victories. 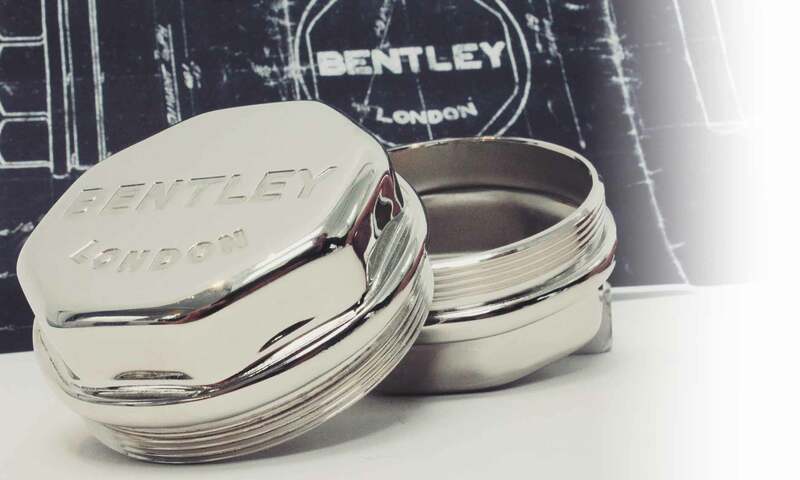 Our restorations of Vintage Bentleys, in particular, have been admired as the most authentic and detailed restoration of this marque. R.C.Moss specialise in authenticity and originality, producing a product that is highly successful in this field. We have also achieved great success in the conservation classes, something Graham particularly enjoys. Full event support and experience can help in enjoying these wonderful events to the full. 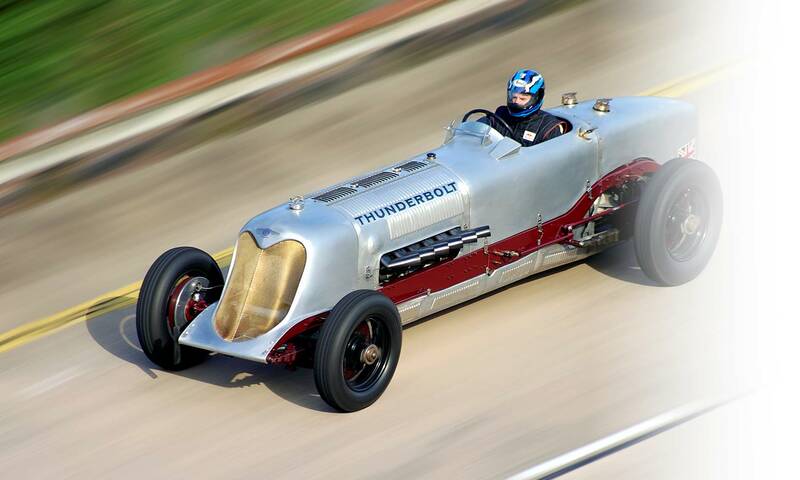 R.C.Moss are the present holders of Ten British and International land speed records with Thunderbolt, a 6.5 ltr Bentley equipped with a Rolls Royce Merlin aero engine, perhaps the greatest advert for our in house design, manufacturing and engineering skills. Various other projects with aero engines have been undertaken over the years a passion we hold dear and excel at.